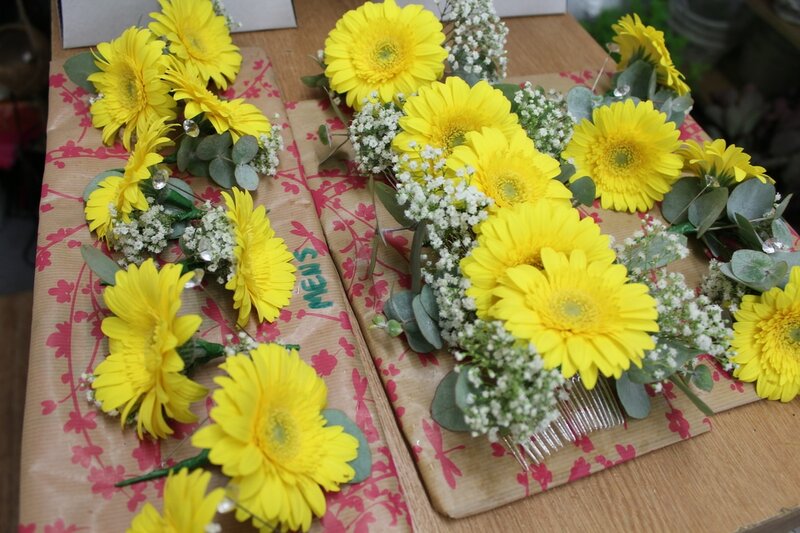 Nikki and Paul love yellow Gerbera's and knew they wanted them to be their main flower for their wedding flowers. 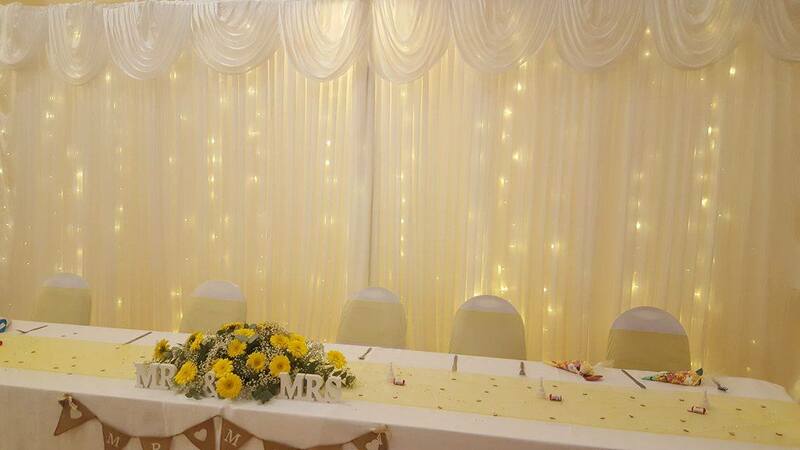 With yellow as the main theme with a hint of rustic with log slices and hessian Mr & Mrs sign on their top table. 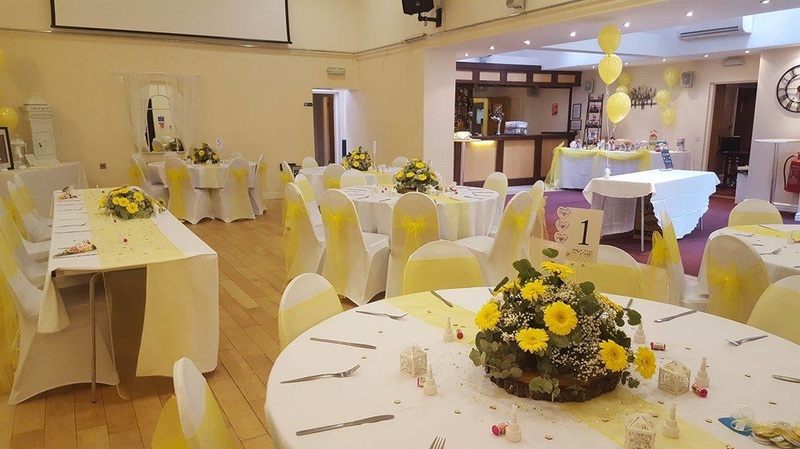 The whole room was bright from the yellow, really complimented the hall nicely.